I have had a history with Wlinkster. 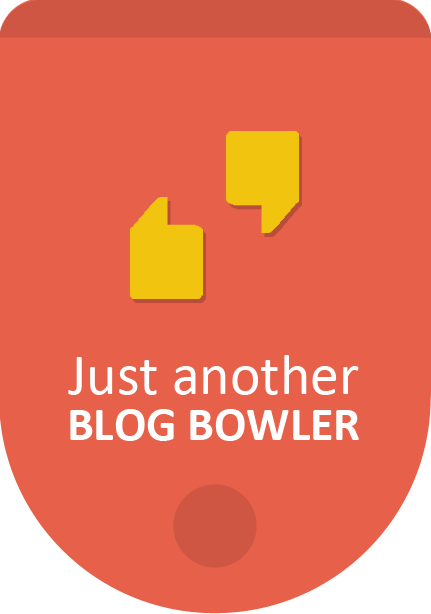 Back in July-August, I wrote a series of posts on what they were doing so wrong. Over the course of time, that post has gotten me a few sincere readers and people who have told me about how they hate Wlinkster and the founders. The founders contacted me, and we had a nice little conversation, but I didn't bring my post down. Although, I did mention that I would write an apology on this very blog if they could prove me wrong. As it seems, that's not going to happen any time soon. All that was five months ago. A certain Carey Martell pinged me on Facebook late last night. Here's what he had to say. 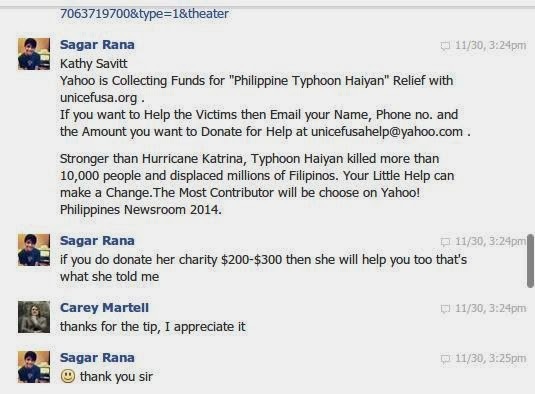 This Sagar Rana guy is connected to me on FB. I noticed he was a friend of a business acquaintance. 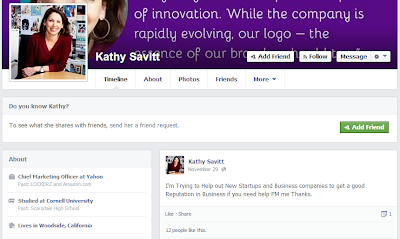 When I pointed this out he sent me this angelist profile https://angel.co/kathysavit that also looks odd and not verified, but links to the suspicious FB account. Feels like a scam that a lot of people are falling for. 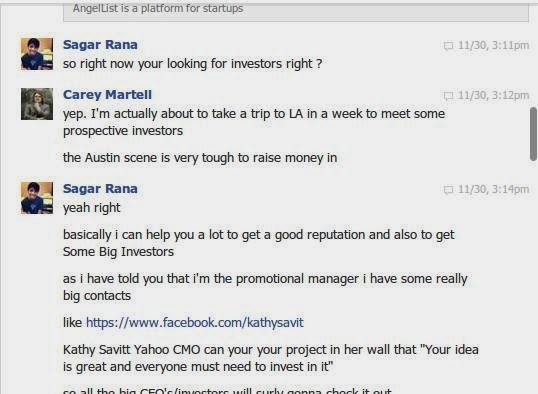 He told me she was a friend of his and if I donated she would plug my startup to investors. Let us see why her Faceook profile looks fake. 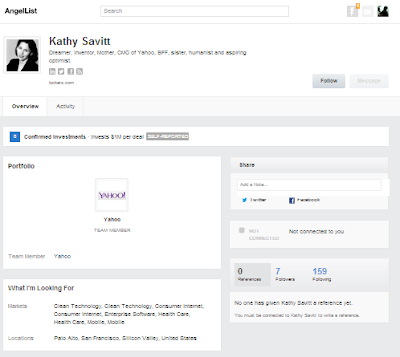 Firstly, a certain Kathy Savitt is definitely Yahoo's CMO, but this is not the one. 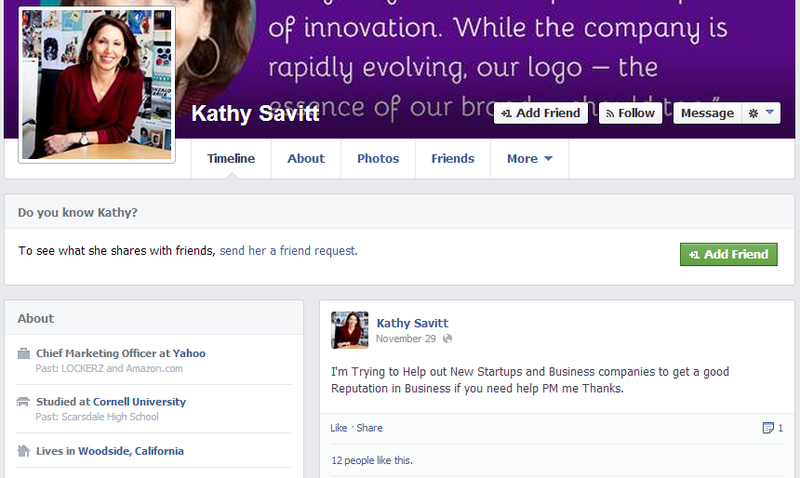 The CMO of Yahoo, is certainly going to have thousands of followers, but this profile has apparently nothing. Secondly, the English gives the Wlinkster people away. No CMO of a big company would have such grammatical and punctuation errors to come up with the following post. I'm Trying to Help out New Startups and Business companies to get a good Reputation in Business if you need help PM me Thanks. I have reported that profile, I suggest you do too. The corresponding Angel.co profile seems fake too. Just 7 followers when there are 159 people you are following? Come on, the CMO of Yahoo definitely has more influence than that. Also, the interests seem to be listed in a very unprofessional way! 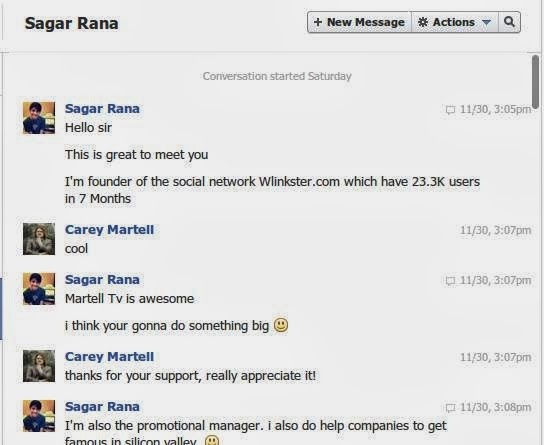 Coming back to Carey Martell's that I got, Sagar Rana says that Kathy was a "friend of his". 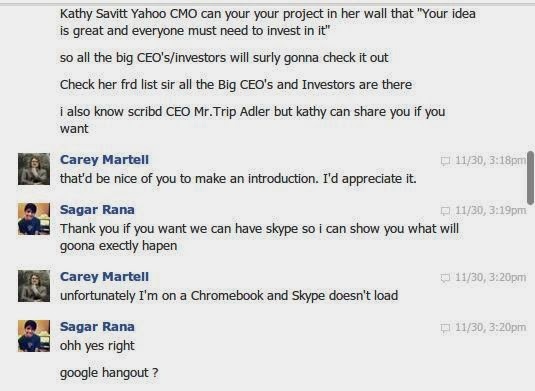 Well then, Sergey Brin was my chaddi buddy, you know. Also, if you are the founder of a startup, ask yourself why would someone want money to introduce you to investors? If they believe in your startup idea, wouldn't they rather want to be a part of it? Either ways, since Wlinkster has failed now, they are resorting to cheap tactics to make some fast cash. If you are wondering whether to trust them, you have your answer. 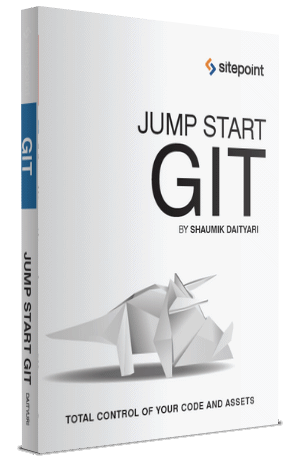 If the Wlinkster team is reading this. I have some advice. Please try and improve your English- because that's what gives you away. Every. Single. Time. 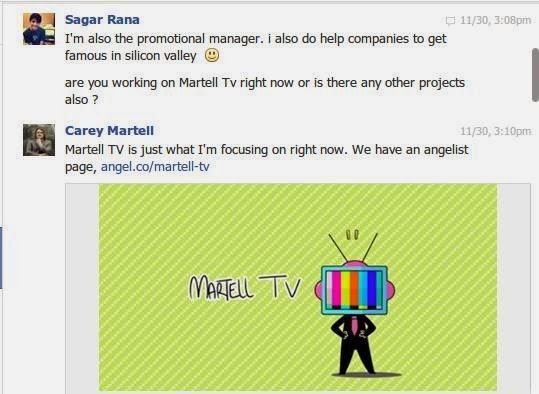 Carey Martell was kind enough to provide me with screenshots of the actual conversation.